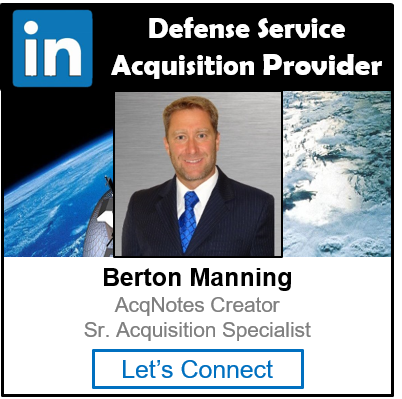 A Commercial Solutions Opening (CSO) is a merit-based source selection strategy for the Department of Defense (DoD) to acquire innovative commercial items, technologies or services that directly fulfill requirements, close capability gaps, or provide potential technological advances. It’s focused on businesses or institutions that have not traditionally done business with the U.S. Government. CSOs are similar to Broad Agency Announcements (BAA) but allow for acquiring technology directly relevant to a specific program unlike BAAs which are restricted to only basic and applied research and that portion of development not related to a specific system or hardware program. CSO were authorized by Section 879 of the FY17 National Defense Authorization Act (NDAA). DoD innovation hubs (e.g., Defense Innovation Unit Experimental (DIUx)) have adopted the model to move at the speed of business to match Silicon Valley counterparts. Each proposal submitted under an CSO is evaluated on its individual merits rather than on a comparative basis, and the Government has considerable latitude in determining which of the submitted proposals it will fund. Inefficient processes add complexity, cost, and time. CSO is not governed by rules for contracts per the Federal Acquisition Regulations (FAR). CSO is different from Other Transaction Authority (OTA). OTA is a legally binding procurement agreement between government and industry authorized for scientific research, technology development, and prototype projects.